You can rely on Bryer's Paving to handle your residential and commercial asphalt paving needs, including seal coating, crack filling, pavement maintenance, and milling! We provide FREE estimates on our services! Depend on the dedicated professionals at Bryer's Paving to provide you with nothing less than exceptional asphalt paving services. 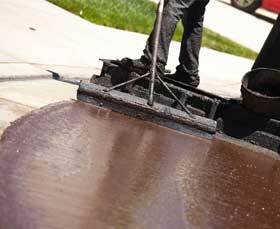 Count on us to handle your residential and commercial seal coating needs with ease. We provide FREE estimates on our services! With 40 years of experience in the business, we have the skills and the know-how to get your job done right. Trust us for all your paving needs.